Home / News / Tom speaks at X, the Moonshot Factory (formerly Google X) for May the 4th! 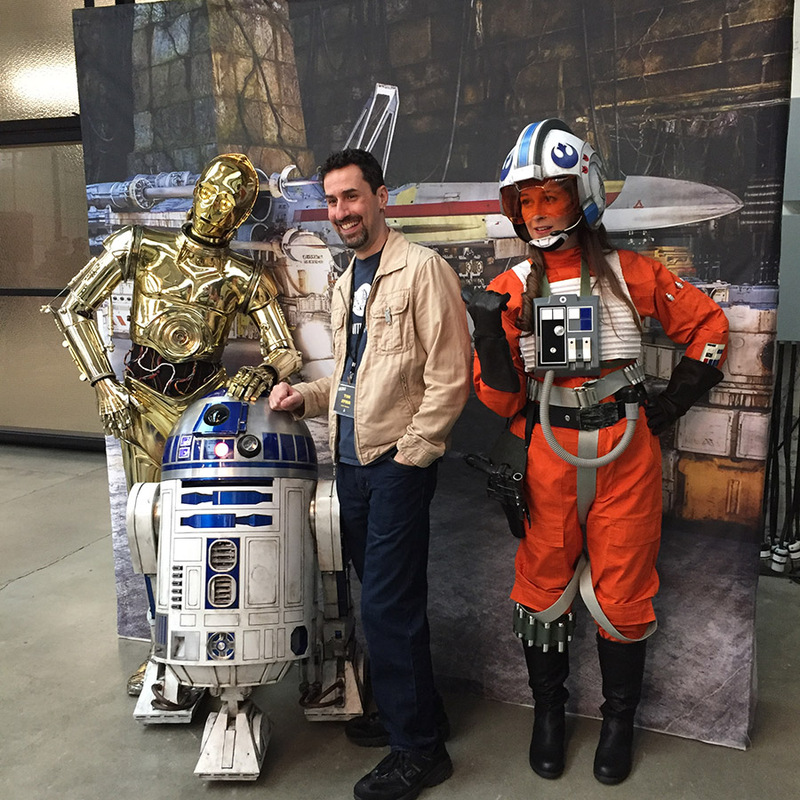 Tom speaks at X, the Moonshot Factory (formerly Google X) for May the 4th! 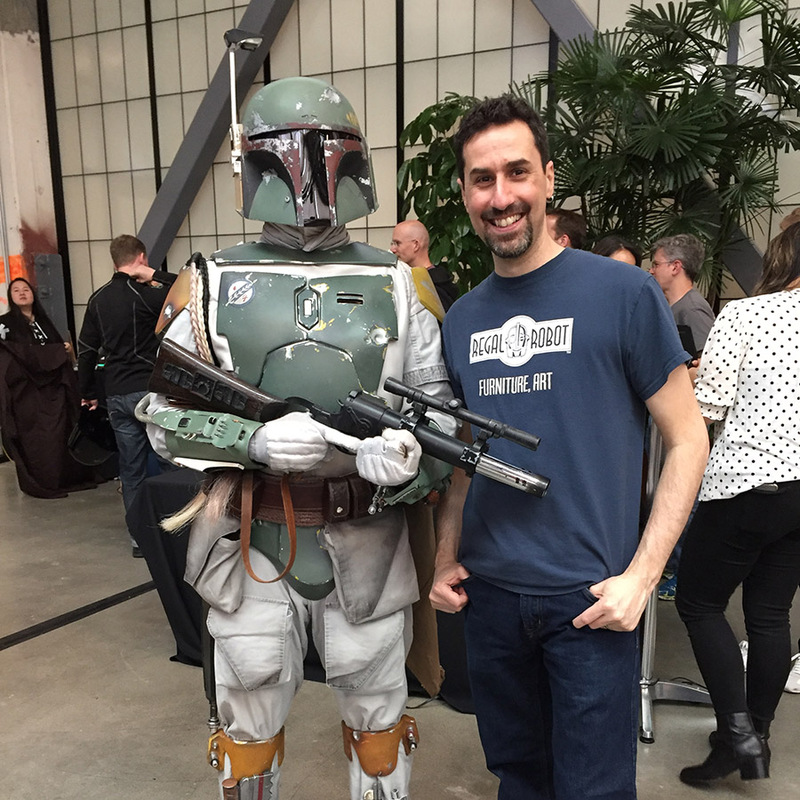 Tom at X, the Moonshot Factory (formerly Google X) for their May the 4th Event! 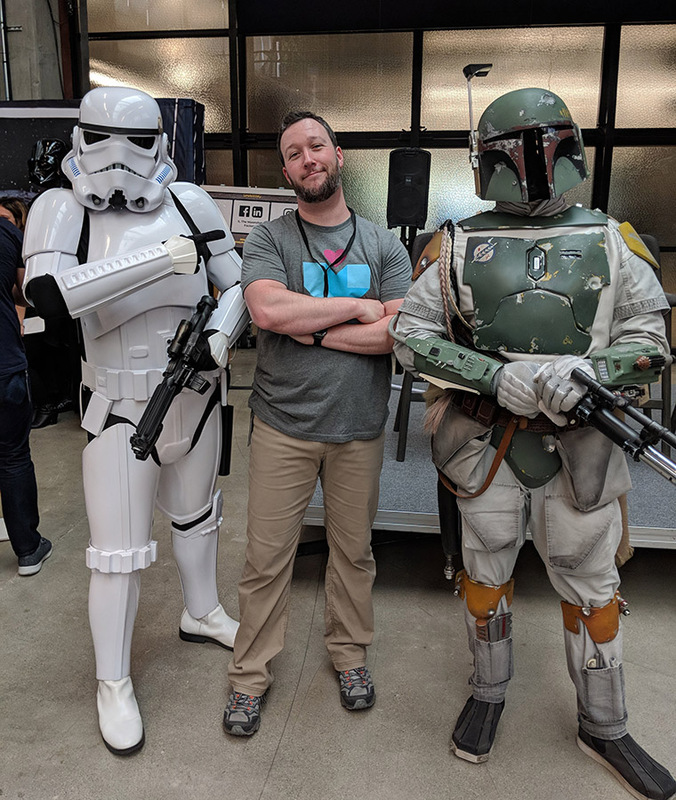 Today’s news update is a gallery of photos from May the 4th at X, the Moonshot Factory, who held an incredible Star Wars Day event. 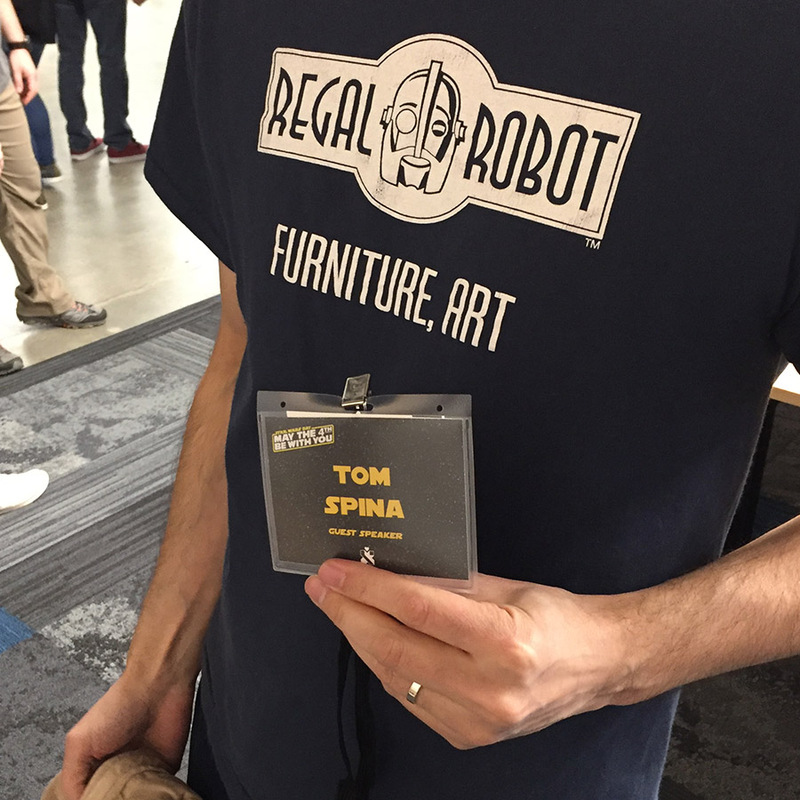 Our company founder, Tom Spina, was a keynote speaker along with Lucasfilm’s Pablo Hidalgo, professional droid-maker Michael McMaster and prop/costume creator (who’s worked on quite a few Regal Robot creations!) Gordon Tarpley! The trio talked about how they turned making (and a love for a certain sci-fi movie and all things geeky) into their careers. Formerly known as Google X, the lab is known as “moonshot factory,” developing wild solutions using breakthrough tech and genius ideas. The facility is an inspiration and the speakers got to tour some of the labs and even got a ride in a self-driving car! 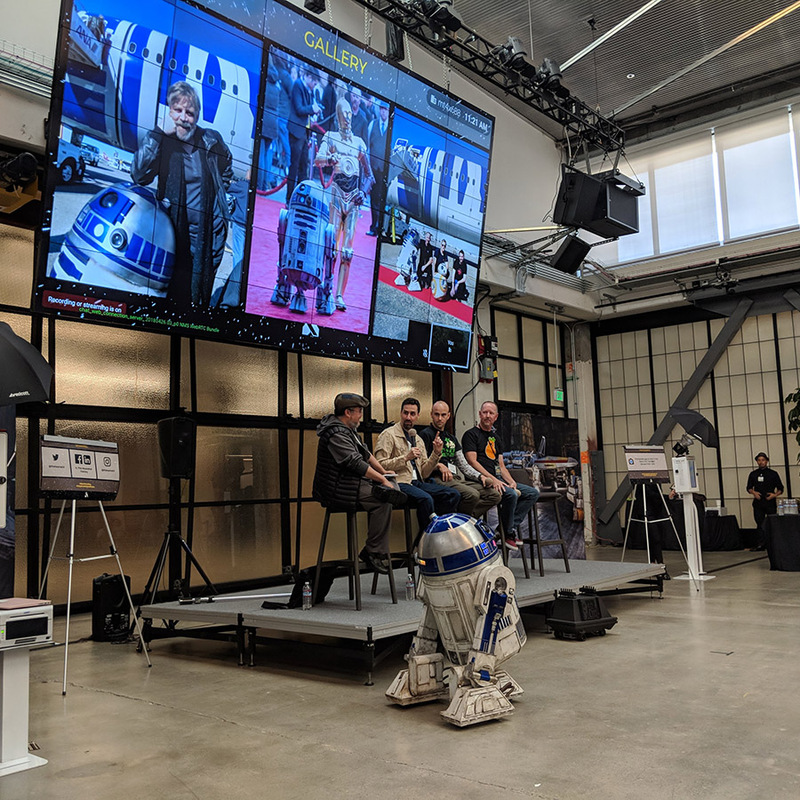 In addition to the speakers, the event featured photo ops, costumed fans and even some very yummy Star Wars™ themed treats. Best of all, our friends at Magic Wheelchair were on hand and raised an outstanding sum for that fabulous charity. Tom’s other company, Tom Spina Designs, is currently working on an amazing project for that charity, along with 6 other pro FX studios, with the results to be revealed at San Diego Comic Con in July… stay tuned! And, the wonderful people from The Star Wars Show were on hand covering the festivities and you can see much more in the video below! Special thanks Nick Sexauer and the crew at X for being such gracious hosts! The panelists chatted in depth about turning their passion into their careers. 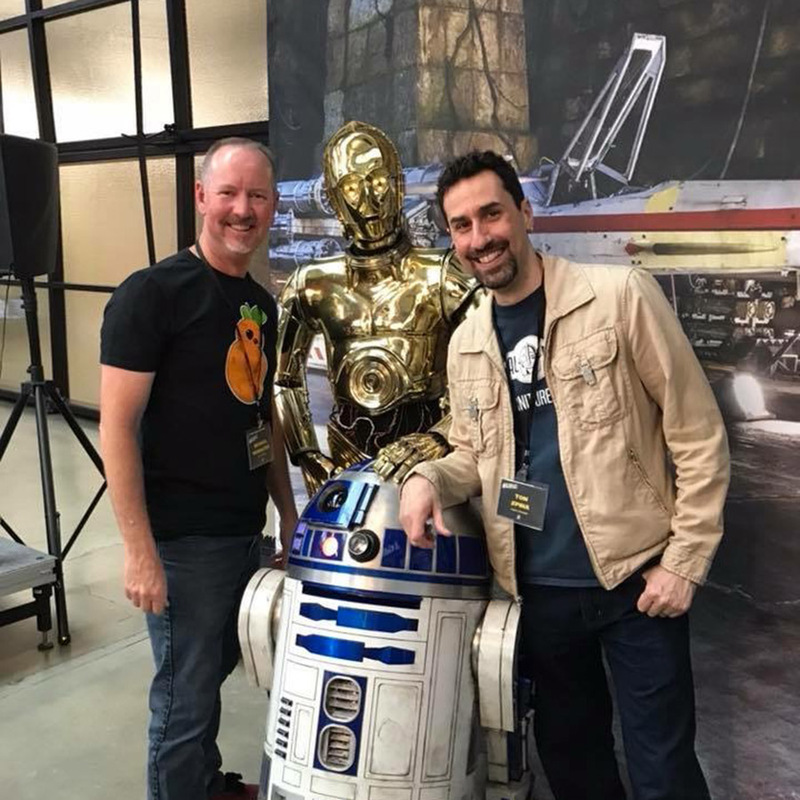 Droid builder Michael McMaster, Gordon Tarpley (inside C-3PO) and Tom pose for a pic! 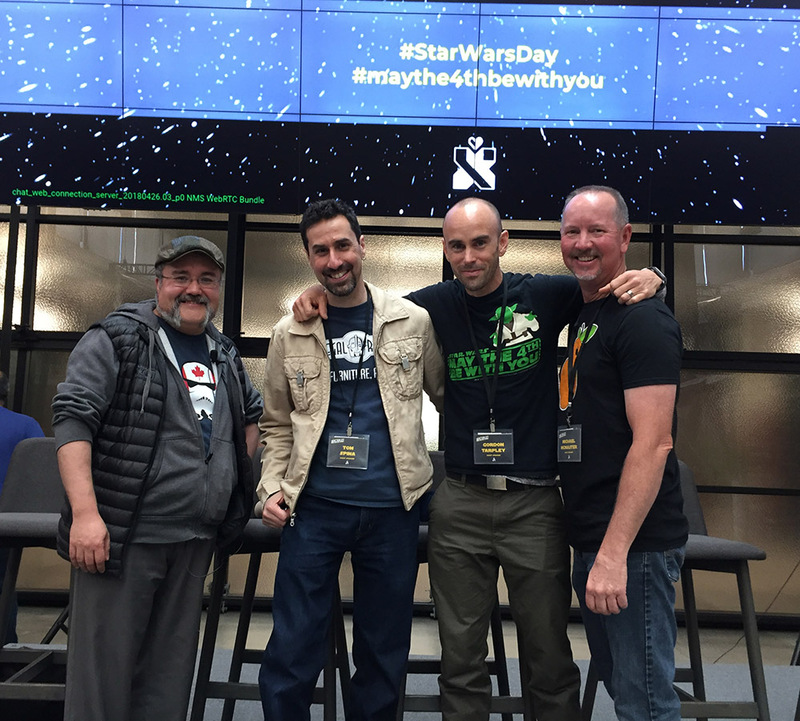 Tom was honored to be a guest speaker at this May the 4th event! Oustanding cosplayers attended and mingled with the crowd throughout the day! 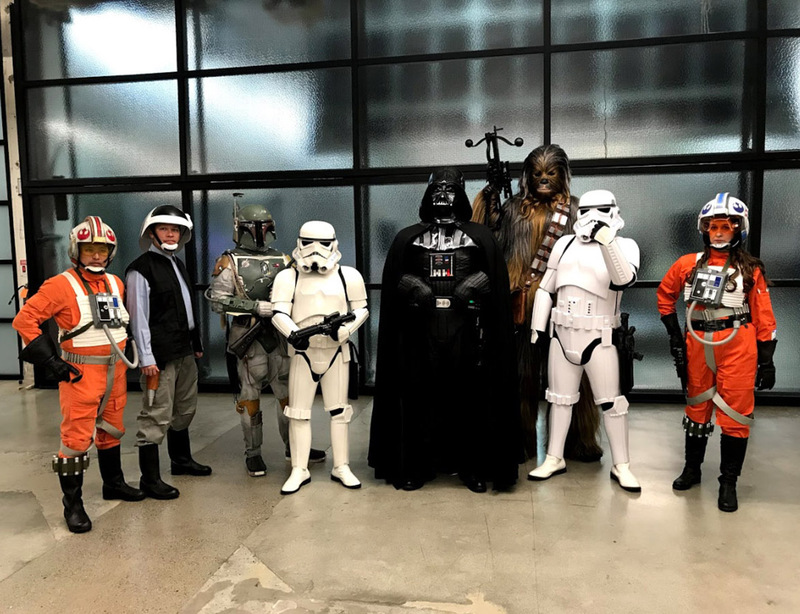 Light-side and dark-side photo ops were a big hit! A fantastic The Empire Strikes Back™ style Boba Fett cosplayer was on hand! 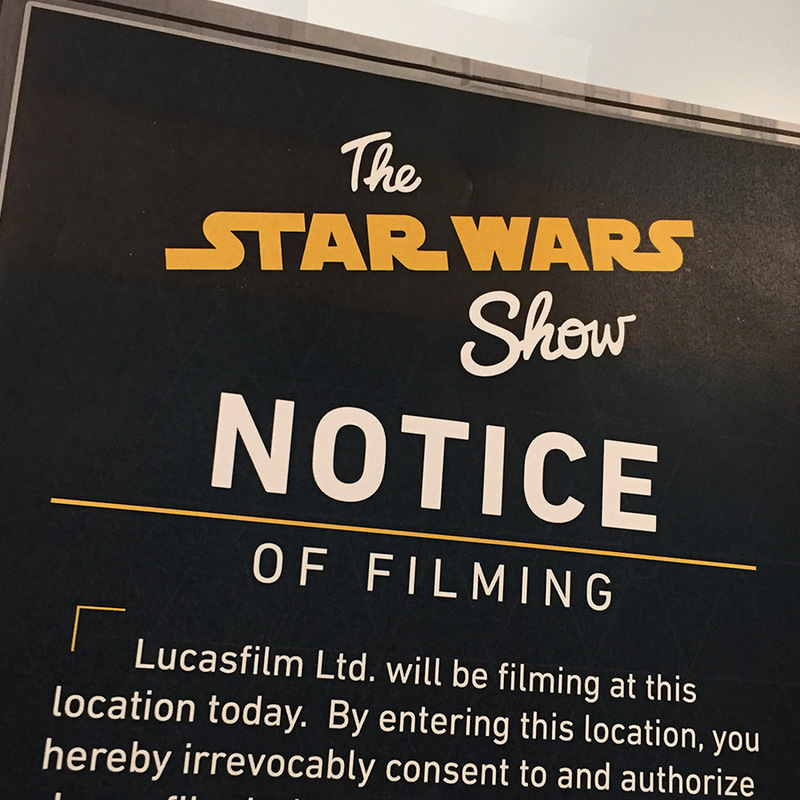 The Star Wars Show was on hand to capture the panel and festivities on video!